Greetings from the Historic West End of Atlanta! 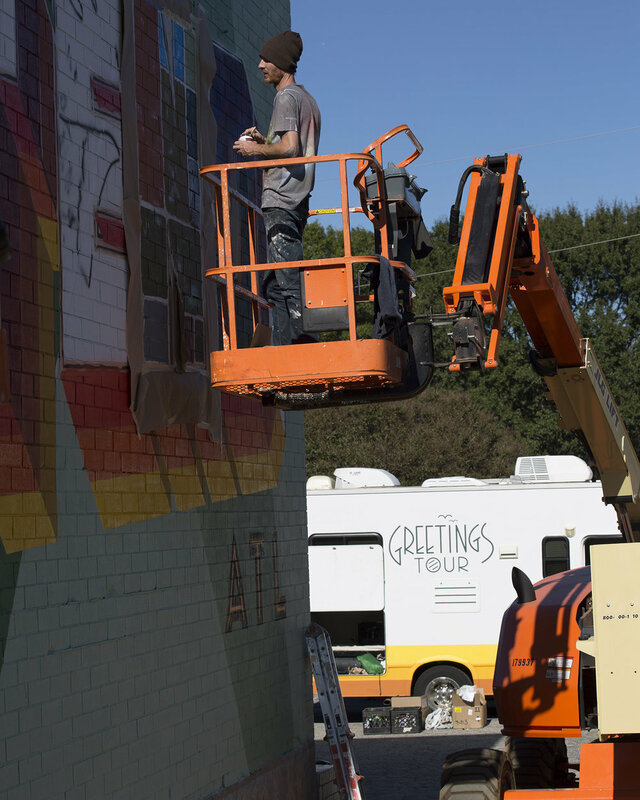 Our goal is to paint a Greetings mural in every state, and now Georgia is complete. Earlier in the year, we met with the LEE + WHITE team who reached out to us to create a mural at a new property they are developing along the BeltLine. This neighborhood is in the southwest part of Atlanta. "Originally coined as part of “Warehouse Row,” Lee + White sits sandwiched between Atlanta's BeltLine’s Westside Trail and Rose Circle Park. With Adair Park across the street and the West End MARTA station a quarter mile from the property, this project embodies the revitalization of many Westside neighborhoods." 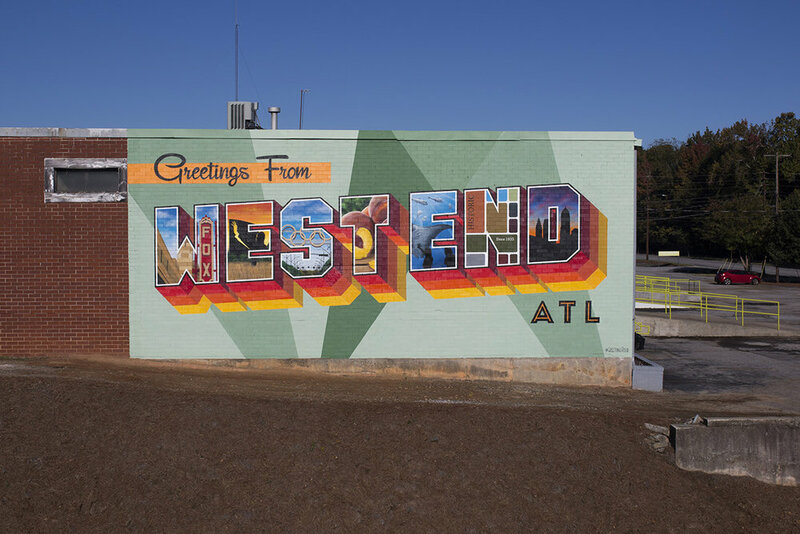 Initially, we pitched a Greetings from Atlanta piece, but met in the middle to do a Greetings from West End utilizing imagery that was relevant to Atlanta as a whole. Working through some initial issues with the lifts and unexpected freezing temperatures, we were able to complete the mural in about one week. Special thanks to local artist Ben Janik who assisted on some of the imagery within the letters!